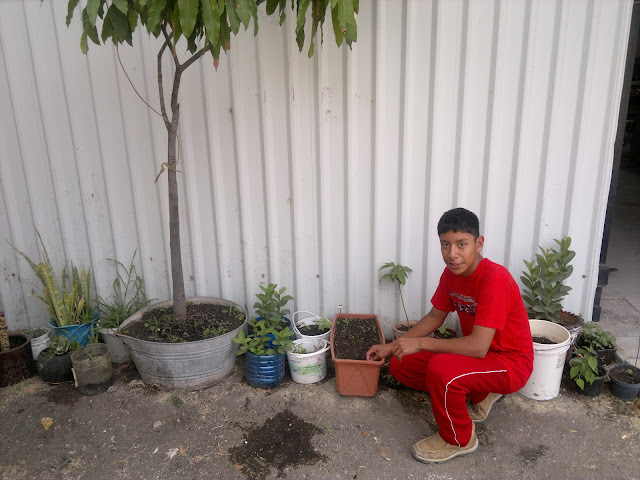 Eduardo or Lalo for short has been with us since 2007, he has been in government care since he was a baby and nothing is known of his family.......He is now 15 yaers old and is our "green thumb" all the plans you see in the picture have been planted from seed by himself ( mango and apple tree, potatoe and tomato along with a vareity of other plants). I (Doug) have dicided to invest in all he needs for larger amounts of harvesting with the plan to have our home groun garden this year........soon you will see more pictures of "Lalos plantation"
We are happy to report that our prayers have been answered about the sale of all the print shop equipment, as of the middle of April we no longer have the printshop that was managed by Bob and had been at a stand still for the past 3 years, we have turned the old round house (printshop) into a storage building for the moment since theirs has been several Christian people in need of temporary storage space they have agreed to pay a simbolical monthly storage fee that has come in handy to pay some of the electric bills that have been getting higher every month, we pay a monthly electric bill of about $350.00 dollars for 6 buildings. 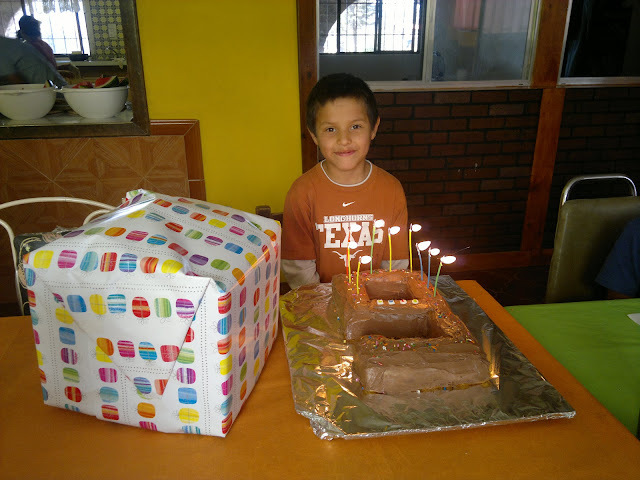 Efrain celebrated his 11th birthday on the 28th of April,he is our most recent adition into the gang. 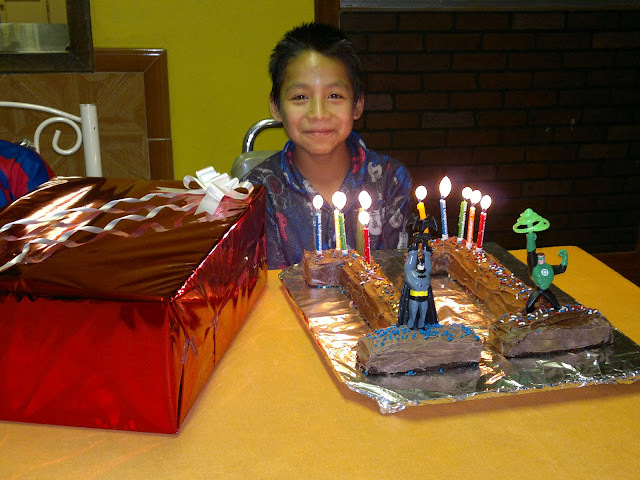 Luis Enrique is now a happy 9 year old that was born on the same day Bob was born( 1st of May).